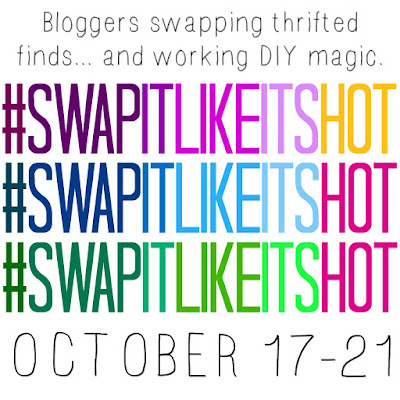 I'm so excited to be joining up with an amazing group of bloggers for Swap It Like It's Hot 6! 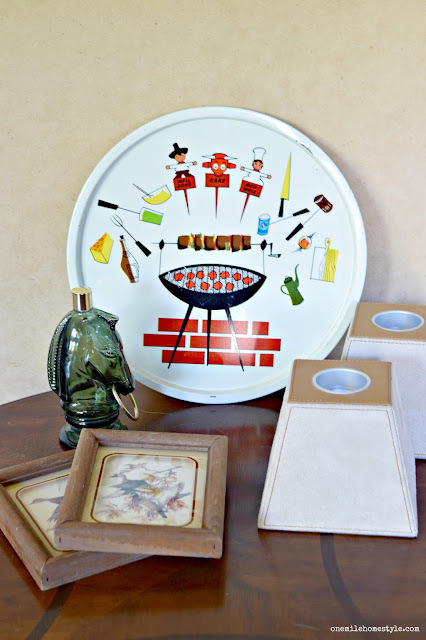 If you're not familiar with what it is, a bunch of bloggers all got together and raided our favorite thrift stores and flea markets to find a few treasures. 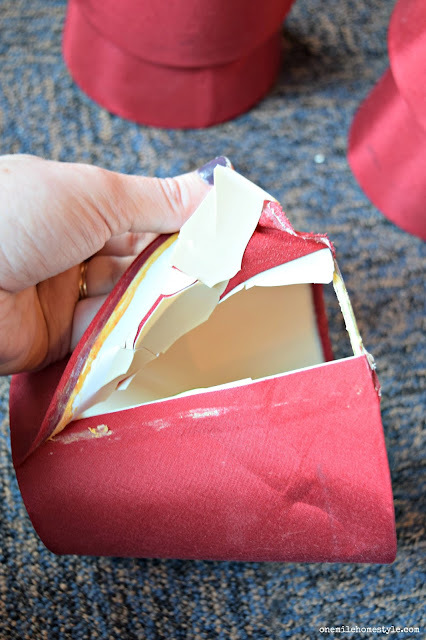 Then we sent those treasures to each other to makeover, we didn't know what we were getting, and then we had to stretch our creative muscles to create something awesome! 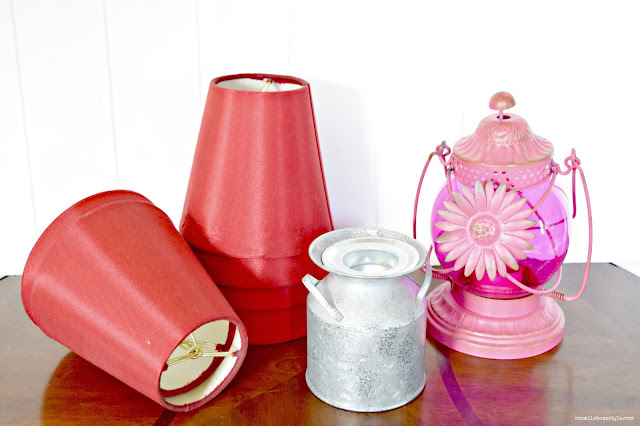 Stephanie sent me this box of goodies, 6 red lampshades, a pink lantern and a little milkcan candle holder(?). Once they were all cleaned up, I wrapped each ring in yarn, I picked navy blue yarn as my accent color, (Surprise! Surprise!) 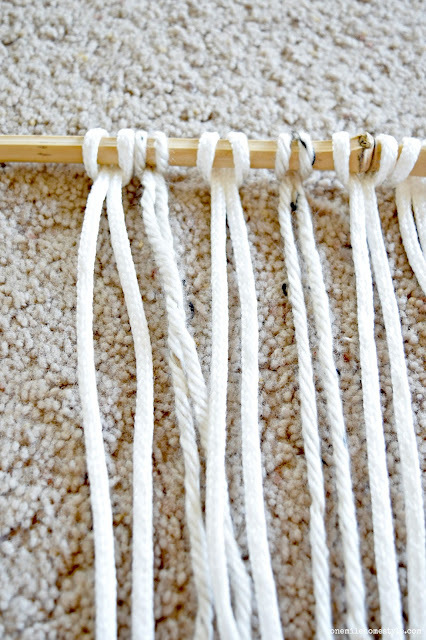 and conveniently, the little bit of glue residue that was left actually helped the yarn stay in place nicely as I worked. To create the base of this wall hanging, I looped strands of white and natural colored yarn around a piece of bamboo. Once all the yarn was added to the bamboo, I attached the navy blue rings, and then added a length of braided yarn to the top for my hanger. Didn't it turn out great?! 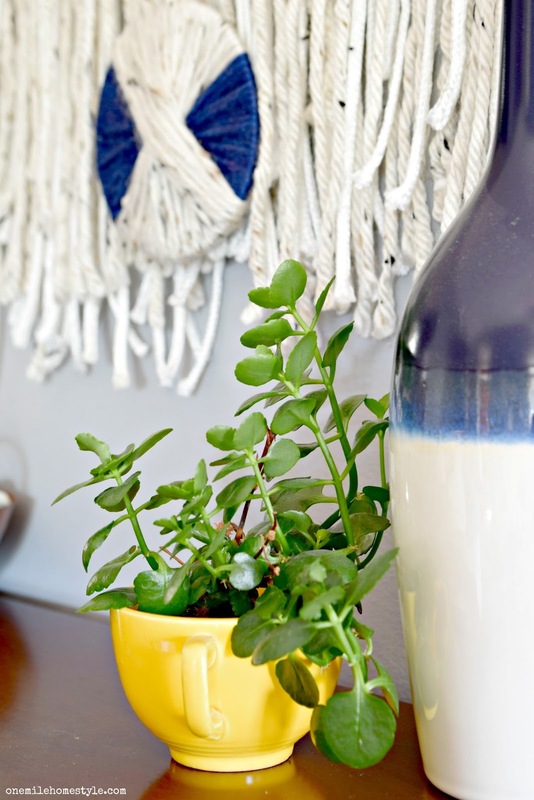 While the overall style of my home is definitely not Bohemian, the colors definitely make it my style, and make it fit perfectly in our living room. 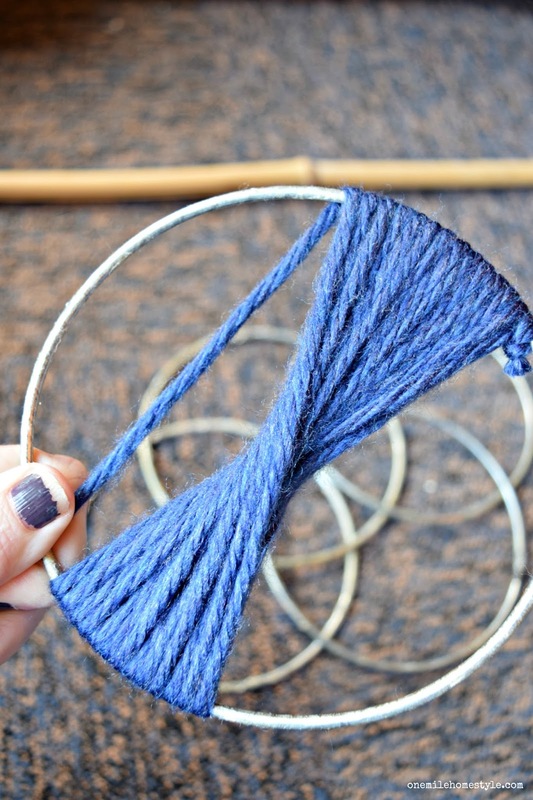 I love all the texture and warmth that it adds, and it brings in my favorite navy blue, without being too dark. It's so fun and definitely pays to think outside the box when repurposing thrift store finds, and if you stretch outside you style comfort zone, you may just find your new favorite piece of home decor! Now, you need to go visit my friend Charlotte at Ciburbanity to see what she created with these goodies that I sent to her. I promise, you will not be disappointed!! 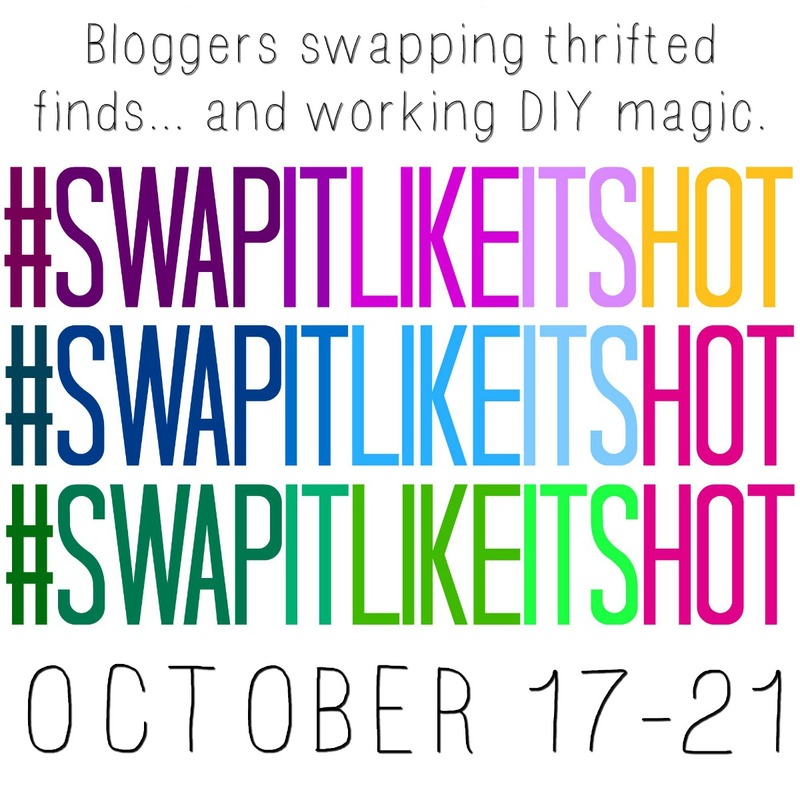 Keep up with everyone this week to see all the creations from this round of Swap It Like It's Hot! 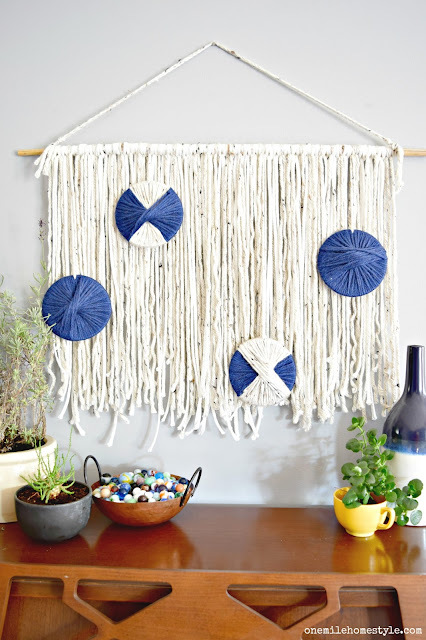 If you loved this project and want to make your own, don't forget to save it to your home decor pinterest board! PERFECTION. 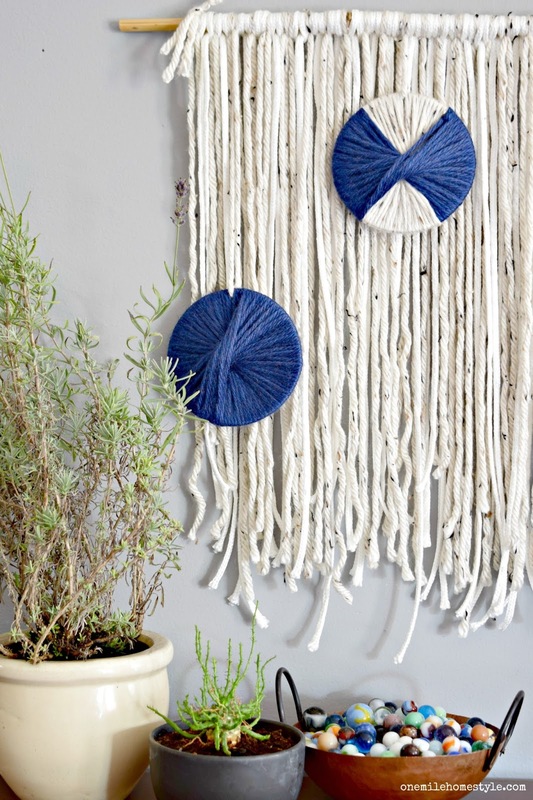 I love anything with yarn and wall hangings so there's that. 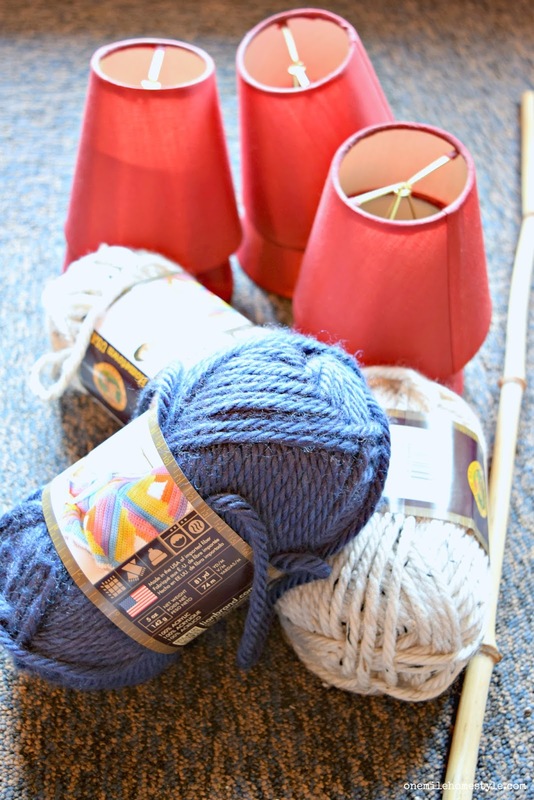 And I had NO idea the circles were from lampshades. GENIUS! Thanks Charlotte! And thanks for inviting me to join in on the fun! Love this so much!! That is a true repurpose- great job!! 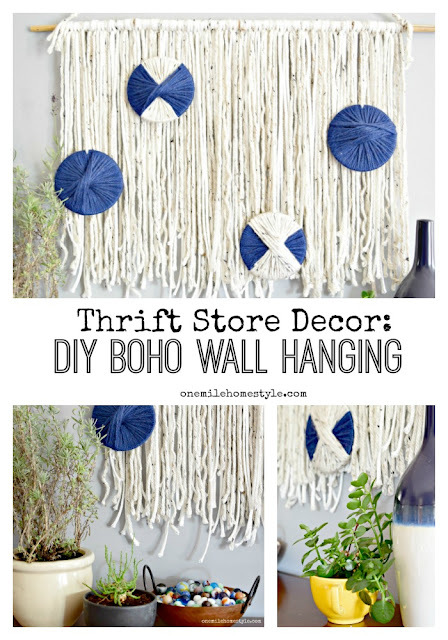 Great idea - so cool! And I love the blue and white!! Thank you! I can never have enough blue and white! Wow!!!! Just—wow!!! Your wall hanging is gorgeous, and I never would've guessed that you used lampshade rings! Thank you! 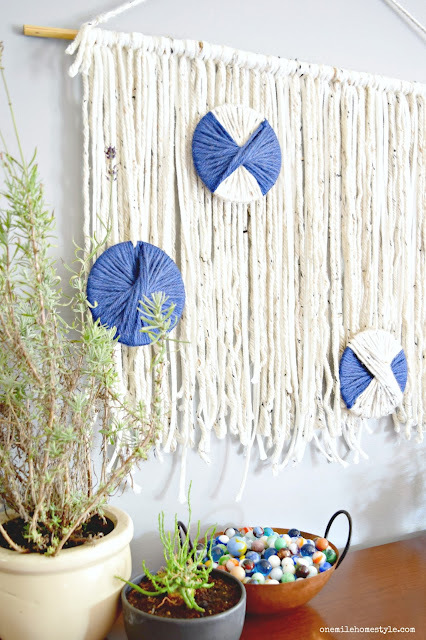 It was such a fun little project to create! That is so smart, I love that you used the bottom of the shade only! It turned out beautifully! That is the coolest thing I have ever seen!!! Who would have ever thought of that project from old lamp shades...bravo!! BTW, I blog about the exact things you do and I love a mix of decor styles too! Pinning and sharing!! Thanks for visiting Susanne, and for sharing! Love these! 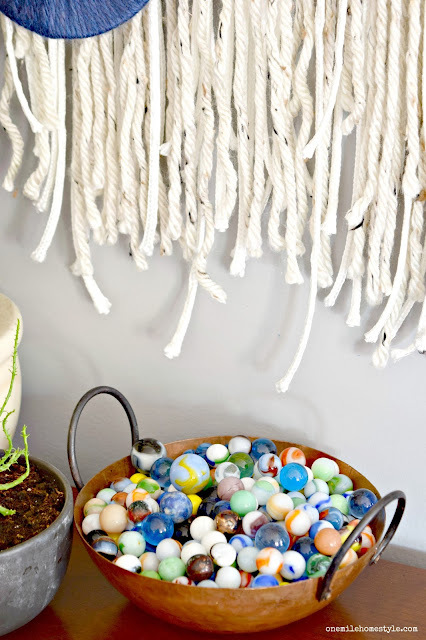 I never knew that this project started last old lamp shades! I LOVE this. I know someone who would love this for a Christmas gift! Thanks Jessica! I'm thinking I may need to make more of these! This turned out so pretty! Great job!